Want to learn more about mobile phones in 2010? Your best bet is to attend one of the world’s cutting edge mobile phone events. This is where you can see the latest concept phones, watch new apps be revealed, purchase mobile phone accessories and screen the latest mobile movies. The 2010 calendar of mobile phone events lists great mobile phone events that you might want to make plans to visit. 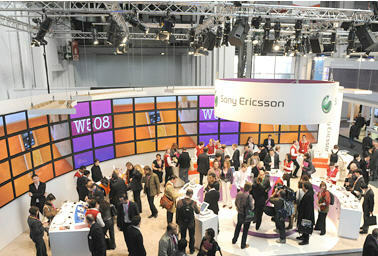 Mobile World Congress, Barcelona, Spain. This is one of the top events of the year attended by people who work in the mobile phone industry. It’s being held in Barcelona on February 15th – 18th. The top people from all of the leading businesses in the mobile phone industry come together for a congress. 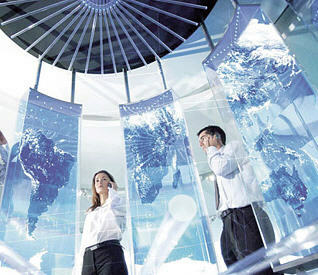 At the same time is a mobile phone exhibition which is the largest of them all. Over 50,000 people attend this event each year. Are you going to be one of them? CTIA Wireless, Las Vegas, NV, USA. This conference has been going on for a quarter of a century and it’s still one of the best ones in the industry. It brings you information about everything that’s going on in the wireless world from mobile phones to wireless broadband news. It’s happening March 23rd to 25th in Vegas. Cloud computing, mobile social networking and mobile health are all issues that might be covered. MobiSYS, San Francisco, CA, USA. This event is where people come together to talk about mobile phone systems and applications. It’s being held June 15 – 18. MobilWare 2010, Chicago, IL, USA. This event used to be held in Europe but now it’s in the U.S. It’s designed to be a place for discussion about the software that enables communication via mobile phones. It’s happening June 30th through July 2nd. MobiMedia, Lisbon, Portugal. This is an annual conference on the topic of mobile multimedia communications. This year’s event, held September 6-8, is going to focus on green issues in this sector. BlackBerry Developer Conference, San Francisco, CA, USA. This September 27th event is specifically for mobile app developers working on the BlackBerry platform. Mobilize, San Francisco, CA. This is a single-day event happening sometime in October which is designed to talk about the next generation of mobile technology. Which of these would you like to attend? Please leave us a comment! To view the entire calender and read the original article, please click here!